Also referred to as cardiomegaly, enlarged heart is classified as a symptom of other medical conditions. 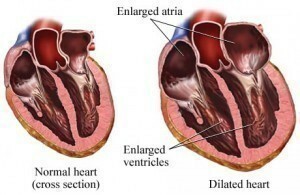 The enlargement of the heart is commonly associated with abnormal heart rhythms, heart valve problems as well as coronary artery disease. Furthermore, some of its possible causes include chronic diseases such as thyroid disorders, congenital heart defect and cardiomyopathy. For a clearer view of what this condition is really all about, it is good to consider the various enlarged heart symptoms, diagnosis and treatment options. A number of major and minor signs characterize this chronic heart condition. Dizziness, shortness of breath and breathing difficulties are amongst the early symptoms of this serious medical problem. Furthermore, patients can also experience other signs such as coughing, edema or swelling as well as arrhythmia or abnormal heart rhythm. Some of its symptoms are very much similar to that of more severe conditions like heart attack. Because of this, it is best to pay extra care and attention to these signs. When there is fainting, shortness of breath and chest pain, seek the help of emergency medical services right away, for these signs may also indicate the possibility of heart attack. When left untreated, these symptoms may aggravate the real condition of patients. Some of the complications of having enlarged heart are sudden death, cardiac arrest and heart murmur. In some cases, this chronic disease may even turn into other serious medical problems such as blood clots and heart failure. Proper diagnosis is necessary to help patients solve their health problems. After seeing a number of these symptoms, they must undergo various kinds of diagnostic procedures to determine the real cause of the problem. The most basic procedure is physical examination. Thereafter, doctors may recommend their patients to have chest x-rays in order to check the condition of the heart and lungs. Electrocardiogram is needed to monitor and record the electrical activity of the heart. 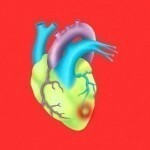 It is also help confirm the presence of other heart conditions, damages and heart rhythm problems. 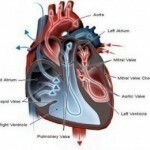 It is also possible to use other available diagnostic methods including magnetic resonance imaging, cardiac computerized tomography and echocardiogram. In some situations, biopsy, cardiac catheterization and blood tests can also help determine the real cause of such chronic health condition. Medications are highly important in the management of enlarged heart symptoms. These include beta-blockers like metoprolol as well as carvedilol for the improvement of heart function. Meanwhile, angiotensin receptor blockers such as losartan and valsartan can also help improve the condition of patients. Digoxin, diuretics and angiotensin-converting enzyme inhibitors are known to help alleviate the conditions of heart disease patients. Surgical procedures are also possible including heart transplant and heart valve surgery.